Dogs are counted among the most preferred pets in the United States. Here are some of the most common and loved dog breeds in America. Dogs are the most trusted, faithful and lovable animals. They make the best companions and are very sincere towards their owners. They can guard your home and can even look after your child when you are not at home. American people love dogs and this is the reason you can get some of the best breeds in the United States. So, let's check out some of the world's top breeds which are good as companions and are popular in America. Labrador Retrievers are friendly and intelligent pets. They are among the top 10 dog breeds in America. They make a perfect companion and are very friendly with kids. They are easy to train and love the company of their owner. You can find them in many colors from white, brown, yellow to dark brown and black. They are medium-sized but have a strong built. They are intelligent and are very gentle but this doesn't mean they can't guard your house. If trained properly, they can be the best amongst all. Yorkshire Terriers come under the category of toy dogs. They are famous for their long hair and can be found in may colors, especially in the shades of black and tan. It is a very stylish dog hence it is usually seen in dog shows. They can easily adapt to any surrounding. As they are small dogs, they need less exercise and are easy to handle. They need regular grooming because of their long hair. They are brave, investigative and very energetic. German Shepherds are known for their intelligence and alertness. They are the leading police and military dogs. Apart from these uses, they make a great companion for humans, they are great family pets and are very friendly. They have a strong muscular body and are very handsome in their looks. They are mostly found in tan and black colors. They are fun loving, energetic and friendly pets and are very fond of children. 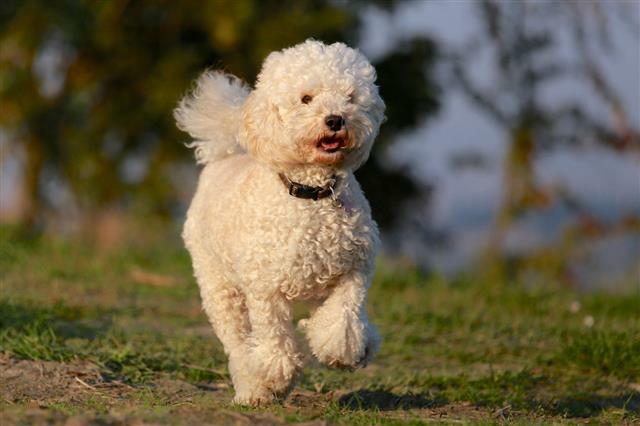 They make an ideal choice for family dogs and are the best option from a security point of view. They need regular exercise and grooming. Golden Retrievers are also among the most popular dog breeds in America. They can be identified by their shiny golden hair. They are very good guides and are usually preferred with search and rescue teams. They are medium-sized dogs with a strong built and are mostly found in light to dark brown colors. They are friendly, energetic and trustworthy. They are lively and self confident dogs and are very good to keep as pets. Beagles are very friendly and cheerful dogs. Hence they are among the most preferred small dogs in America. They obey every single command and are happy in any condition. They are found in two heights i.e. approximately 13 inch and 15 inch. They are small, energetic hunting dogs. They are very friendly with other dogs and humans. They will always be busy with some or the other mischief. They are very cute, obeying and sincere dogs hence whips can be avoided completely. Boxer dogs are known for their alertness and intelligence. They are medium-sized and have a very handsome body. It is very lovable and expects the same from its owner. They are very fond of children and make a great companion. They are very patient but are protective and loyal. They are very good in guarding house. Boxers love to stay with their people. Grooming is not necessary but they need regular exercise. If you are looking for a dog which is a bit different from others, then Dachshunds will be the best option. They have a very friendly nature and are very disciplined too. They are small and have legs comparatively very small to their body. They can be found in three different coats, they are smooth, wire haired and long haired. They can adapt themselves with any environment easily. They do not require much exercise but they do need regular grooming. Poodle are known for their beauty. They are cute, active, smart, and obedient. Because of their small size they can fit in any sized house. They are more of a show dog and hence you can usually see them in the dog shows. They are found in different colors like white, black, apricot and gray. They are intelligent pets and are friendly too. They walk in a very proud manner and love to attract attention. They need regular exercise and yes regular professional grooming. Because of their coat they are less allergic. Shih Tzus are known for their long shinny and silky hair. They are very friendly, happy, affectionate and trustworthy. Although they are playful and sweet, they are not afraid of fighting for them and for their owners. They have long hair but do not shed too much. You can get them in many shades and colors. They are very famous at the championships and dog shows as they have the beauty to win many prizes. They need less exercise but need a lot of grooming and daily brushing. A massive, fluffy, medium-sized, short and wrinkled face dog is identified as bulldog. You can get it in brindle, white, red, fawn, fallow or piebald colors. They are very good as family pet because of their friendly and lovable nature. Bulldogs are courageous and protective too. They make a very quick lovable and strong bond with the children in the family and even with the adults. They are sensitive to heat hence require good dog care. They need very less grooming and exercise. So, these were some of the most famous dogs in the United states. As these breeds are rated the best, go forward and select the one which suits your requirement and will adjust in the environment you are living in. We're sure they will soon become an inseparable member part of your family.